Just over 2 months ago, in Jiangsu China Reports 1st Novel H7N4 Human Infection, we learned of the first known human infection with a novel H7N4 virus via information provided to Hong Kong's CHP from Mainland China. Since then, no new cases have been reported, but we have learned a bit more about the virus. A little over a week later, in WHO: Genetic Characteristics Of Avian H7N4, we learned this AI virus is a purely avian LPAI H7 strain - distinct from A(H7N9) - although it carries the PB2 637K marker associated with mammalian adaptation. It is possible that additional human cases of avian influenza A(H7N4) will be detected, however only one human case has been detected so far, and information on the circulation of avian influenza A(H7N4) in birds is not currently available. Further information needs to be gathered to increase the confidence in this assessment. 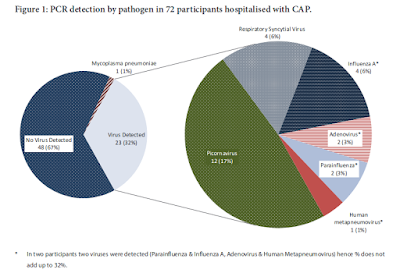 Human infection with avian H7 viruses - while rarely reported - isn't unheard of. Until H7N9 emerged in China in 2013, however, they were generally believed to be less serious than avian H5 infections (see 2013's A Brief History Of H7 Avian Flu Infections). While this first H7N4 cases could certainly be a one-off event, H7N4 could evolve further or reassort with another virus, and become a bigger threat over time. Today the UK's PHE weighs in with their own risk assessment, which currently finds the risk to UK residents within the UK to be very low, but does consider the (still low) risks for travelers to China. A 68 year old woman with coronary heart disease and hypertension from Jiangsu province, China developed severe pneumonia and was admitted to hospital on 1 January 2018. The individual survived their illness and was able to be discharged after 21 days. A throat swab specimen was taken from the patient and tested by real time RT-PCR and sequencing; these tests detected Influenza A (H7N4). The individual’s close contacts (28 in total) were monitored and did not report symptoms. This same group also had throat swabs taken, which tested negative. The individual had slaughtered poultry during the putative incubation period, prior to the onset of illness. Ducks and chickens on the same premises were investigated and tested positive for low pathogenicity Avian Influenza A (H7N4). There is presently insufficient information about whether this virus is found in other poultry in China. There have been previous unrelated Avian Influenza A(H7N4) outbreaks in Australia (1997) and The Netherlands (2010). Sequencing information related to the specimen from the human case showed that the virus is genetically similar to avian influenza viruses that are circulating in wild birds. Sequencing also demonstrated that the HA gene was distinct to that seen in A (H7N9) viruses circulating in China. Sequencing did not identify any known mutations associated with reduced susceptibility to antiviral medicines such as Neuraminidase Inhibitors (eg oseltamivir). There was one marker associated with mammalian adaptation (627K at PB2). The World Health Organisation has not recommended the development of a Candidate Vaccine Virus (CVV). No sequence information has been published in the GISAID database to date. Internal gene reassortments are to be expected amongst wild fowl and it would be expected that there may be sporadic assortments in animal hosts. Depending on exposures to poultry, there may be sporadic infections in humans. The risk to UK residents within the UK from Avian Influenza A(H7N4) is very low (as there is no known animal reservoir within the UK). The risk of Avian Influenza A(H7N4) to UK residents who are travelling to mainland China is low but would be higher in those individuals with a history of poultry exposure and associated activities. The probability that a cluster of severe acute respiratory illness in the UK is due to Avian Influenza A(H7N4) is very low but testing would be indicated. A history of travel to mainland China would increase this probability. If compliance with infection control guidance is good, the risk to healthcare workers caring for any cases of A(H7N4) is very low. However, any respiratory illness among healthcare workers undertaking this work would be rapidly investigated for this infection. The risk of infection to contacts of laboratory confirmed cases of avian influenza A(H7N4) is currently considered to be low, but they would be subject to public health follow-up following their exposure. These individuals would be tested for infection if they developed any new febrile or respiratory illness. Travellers to China or other affected areas should be alert to the development of signs and symptoms of influenza for 10 days following their return. It is most likely that anyone developing a mild respiratory tract illness during this time is suffering from seasonal influenza or other commonly circulating respiratory infections. However, if they become concerned about the severity of their symptoms, they should seek appropriate medical advice and inform the treating clinician of their travel history. Testing of Avian Influenza A (H7N4) should be arranged urgently if an individual meets at least one criterion from Part A and at least one criterion from Part B. In addition, any returning traveller from mainland China who meets the above criteria should also be considered against the criteria for Avian Influenza A (H7N9) and Avian Influenza A (H5) infections.